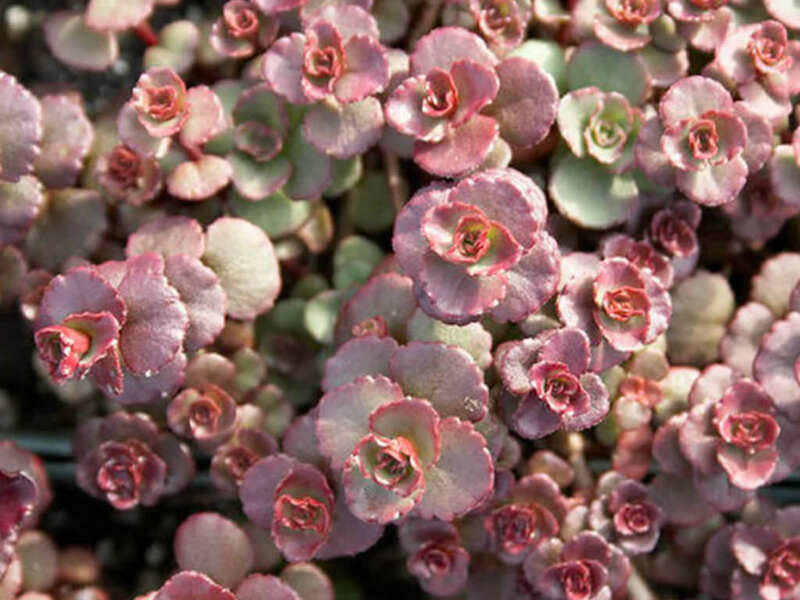 Phedimus spurius ‘Voodoo’ is low-growing, sprawling, mat-forming Stonecrop, up to 6 inches (15 cm) tall and spreads up to 18 inches (45 cm) wide. Creeping, branching stems root at the nodes. 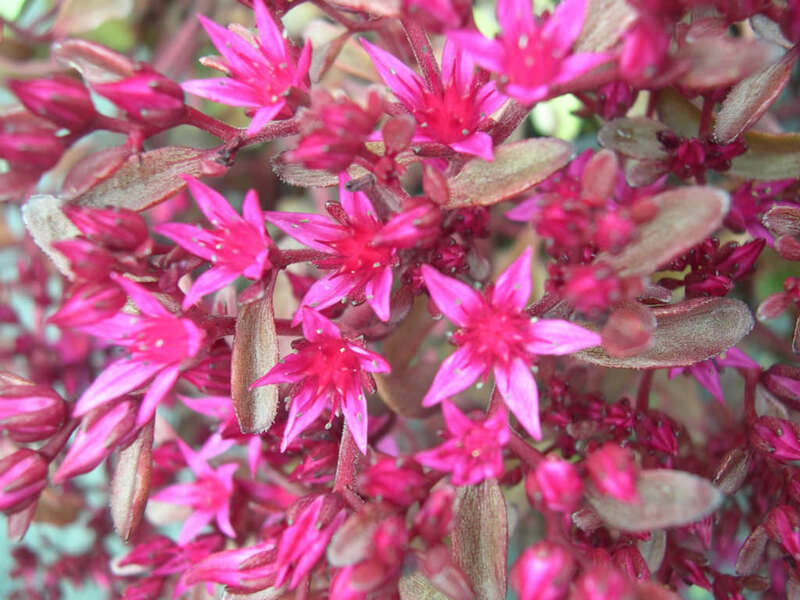 The flowers are tiny, star-shaped, rose-red, up to 0.8 inch (1 cm) and bloom in four-branched inflorescences (up to 6 inches/15 cm tall) in late spring to mid summer. 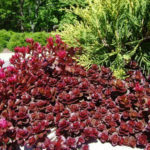 Thick, succulent, obovate, dark maroon-red leaves are up to 1 inch (2.5 cm) long and are toothed near the ends. 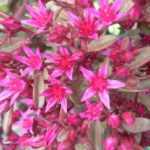 Leaves are attractive throughout the growing season. 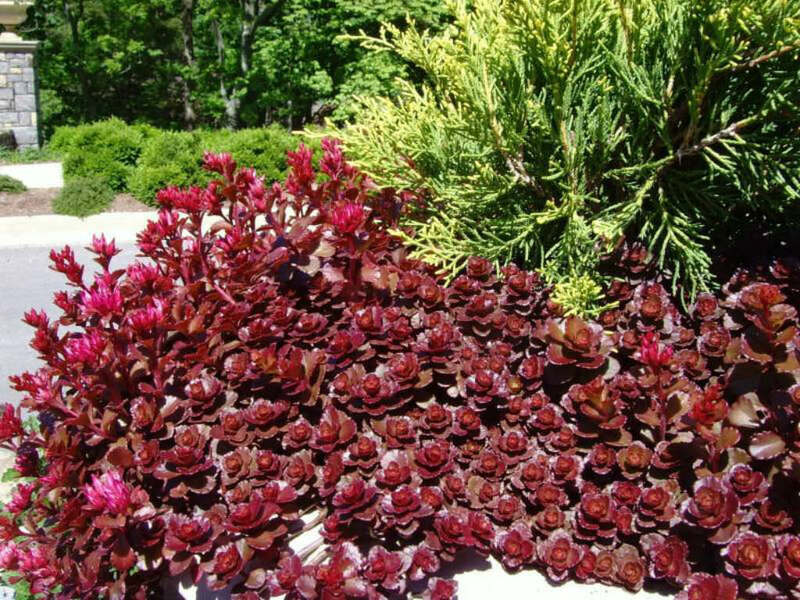 When growing your Caucasian Stonecrop, you need to keep in mind that you have to give it sun and fertilizer, and you do have to water it sometimes even though it’s drought-resistant. You can give it a balanced low-number fertilizer to help with poor soil, and you can even help it out with deadheading the dried flowers. 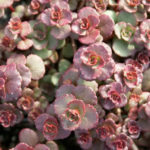 It isn’t hard to grow Caucasian Stonecrop under the right circumstances, but these plants are forgiving even in the wrong ones. Sometimes soil isn’t as permeable as it should be, but the roots of Caucasian Stonecrops can actually push through it. 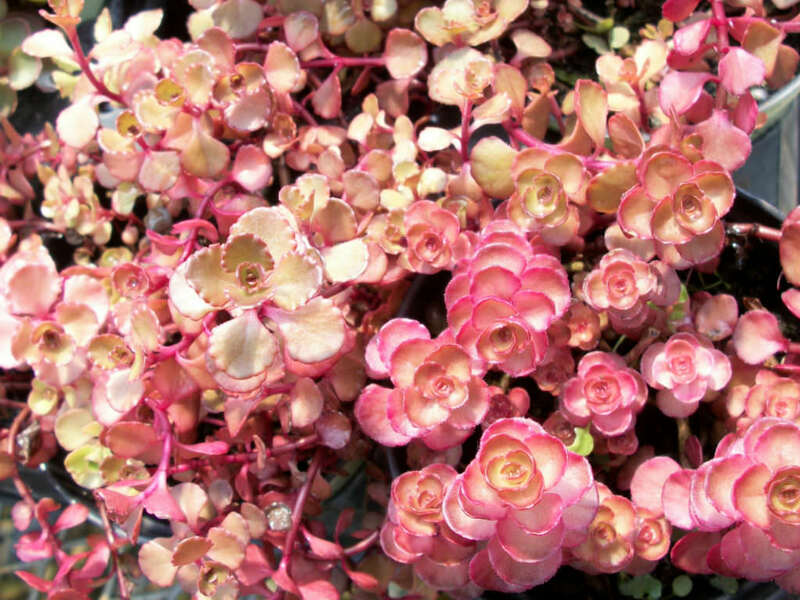 Other times the sun doesn’t come out as often, and while this can possibly stunt the growth of the plant over prolonged time, you can still have a healthy Caucasian Stonecrop.